A four-pack of stylish picks. 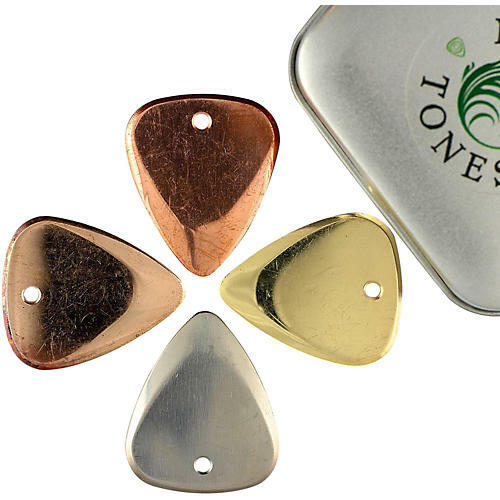 Includes 1 of each of the following Timber Tones' Metal Tones picks:Titanium, Bronze, Copper and Brass. Packaged in a metal carrying tin. Metal Tones are designed around their classic 351 shape. They are CNC milled from solid Billet and polished to precise tolerances. They have also added a small hole, as they knew some people might like to use them as pendants.